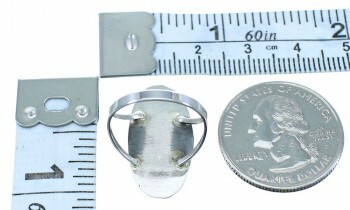 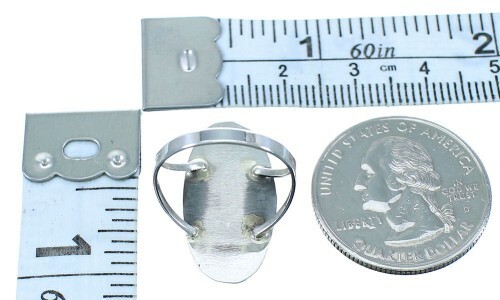 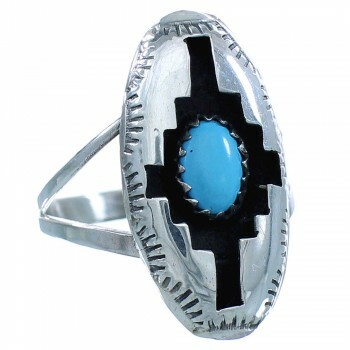 Ring is size 7-1/4, it measures approximately 7/8" long and 1/2" wide. 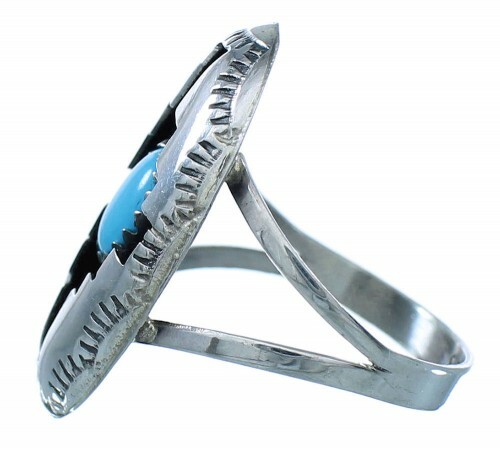 You'll absolutely fall in love with this stunning ring! 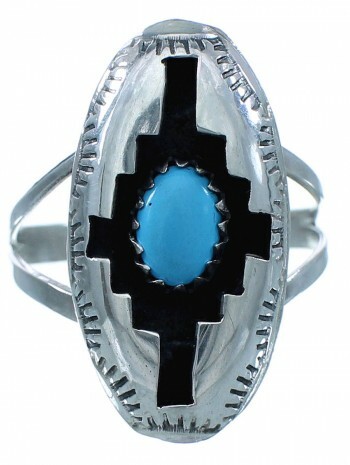 This piece of Native American jewelry is Navajo hand crafted by artist Felix Perry, out of genuine sterling silver and a real Turquoise stone. The ring has ONE stone that is gently set in a hand cut shadow box bezel setting, while stamped designs can be seen accenting the ring for a gorgeous finish. The ring is stamped sterling and is hallmarked.